Lipstick plants are common flowering houseplants that are very unique and beautiful, but they also really easy to grow indoor plants. 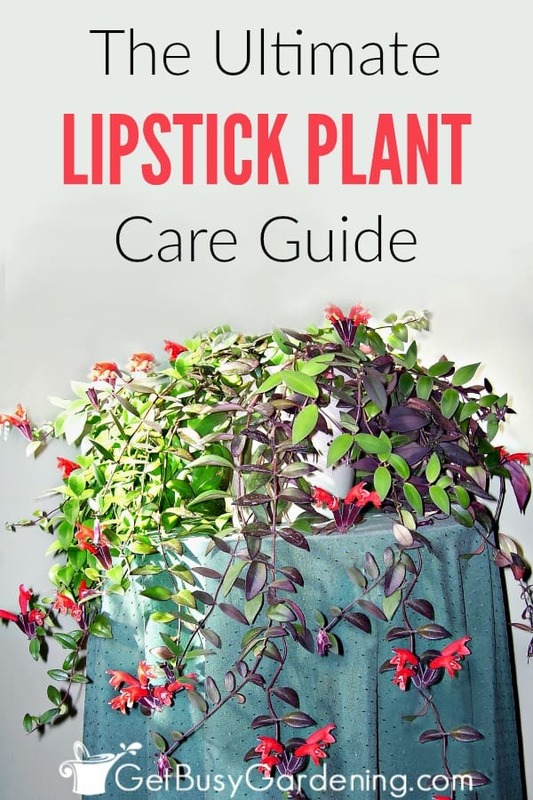 This detailed lipstick plant care guide will show you everything you need to know about how to care for lipstick plants. What Is A Lipstick Plant? 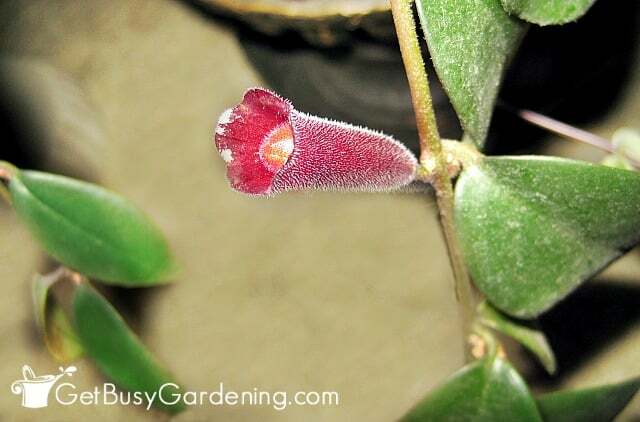 A lipstick plant (aeschynanthus radicans) is an unusual indoor flowering plant that you don’t normally find among the common plants in garden centers. I’m not sure why they’re not more commonly sold, lipstick plants are easy to care for flowering houseplants. 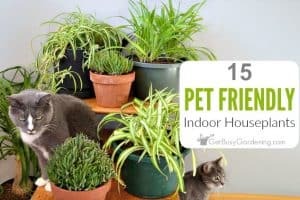 Plus, they are also pet friendly houseplants that are safe for cats and dogs. The blooms are very unique – as they open, the lipstick plant flower resembles a tube of lipstick – hence the common name of lipstick plant. 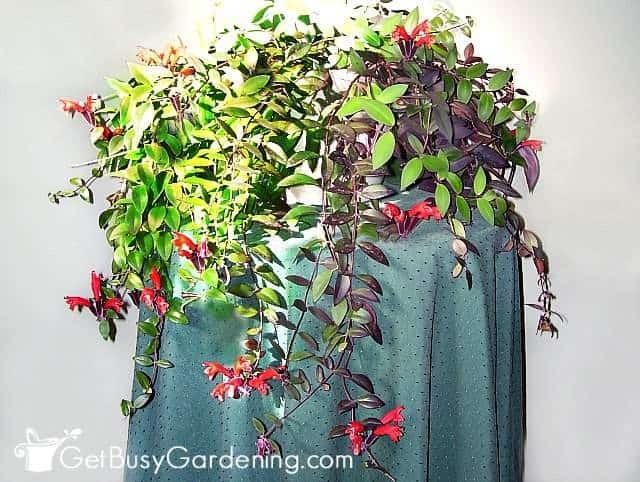 The cascading vines of lipstick plants look beautiful in a hanging basket, or cascading over the top of a pillar or shelf. Lipstick plants are also non-poisonous houseplants, so they are safe to grow if you have cats, dogs or little kids running around. When Do Lipstick Plants Bloom? The lipstick plant generally blooms during the late summer and early fall, but can bloom throughout the year. Mine continues to bloom on and off all winter, and it’s one of my favorite winter flowering plants. They will bloom better when they’re root bound, so don’t repot your lipstick plant until it’s absolutely necessary. Lipstick plants are easy to grow indoor plants, and they are fun to have in your plant collection too! Lipstick plant care isn’t difficult, as long as you follow a few basic requirements, your plant will thrive for years to come! Proper watering and adequate lighting are the most important things to consider when growing lipstick plants indoors. Lipstick plants prefer to have their soil kept on the dry side, but never left totally dry. 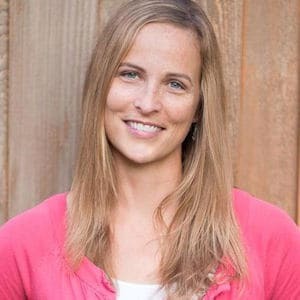 Ideally the soil should stay lightly moist, but never wet or completely dried out. Lipstick plants are tolerant of the soil drying a bit out between waterings, but are not tolerant of being overwatered. However, if left dried out for too long, the leaves will start to turn brown and drop off. Be certain to always check the soil before you water your lipstick plant to avoid overwatering. If you struggle with properly watering your houseplants, I highly recommend you get an inexpensive soil moisture gauge to help you out. Lipstick plants also like high humidity, so a bright bathroom or kitchen would make a great home. Otherwise, you can mist your plant regularly as part of your lipstick plant care routine, run a humidifier near it, or even grow it inside of a mini indoor greenhouse if the air in your home is extremely dry. The lipstick plant prefers bright, indirect sunlight, and will bloom it’s best when given plenty of light. Mine thrives near a south facing window in my living room, where it gets filtered sunlight all year long. When they don’t get enough sunlight, lipstick plants won’t bloom. If you don’t have a room in your home that gets indirect, bright light, then you can add a grow light to supplement. If you put your lipstick plant outdoors during the summer, be sure to keep it out of the direct sun. Direct sunlight is too intense for lipstick plants, and it can burn their foliage. Lipstick plants don’t require any special soil, and will usually grow just fine in general potting soil. 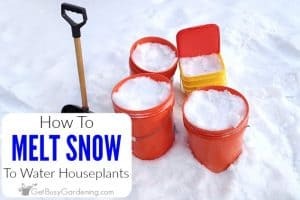 But if you tend to over water your houseplants, then I would recommend amending your potting soil with perlite or pumice to add extra drainage. 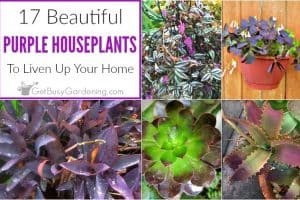 Otherwise, it’s best to use a fast draining potting soil, like succulent potting soil (you can also make your own potting mix using my succulent soil recipe). African violet potting soil also would work great for growing lipstick plants. Also, be sure to grow your lipstick plants in a pot that has drainage holes in the bottom to prevent overwatering, or use an African violet pot. To get the best blooms, lipstick plants should be fertilized in the spring through summer as part of your regular lipstick plant care routine. I recommend using organic plant fertilizer rather than chemical ones because they work better, and there’s less of a chance of burning sensitive plants. A general purpose liquid fertilizer for indoor plants, or compost fertilizer would work great for blooming lipstick plants. You could also use a time release houseplant fertilizer granules for tropical flowering plants. African violet fertilizer would also work great on lipstick plants. As for how to propagate lipstick plants, well I have some great news for you. Propagating lipstick plants is actually really easy by taking cuttings and rooting them, and it’s fun too! Lipstick plant cuttings can easily be rooted using a propagation chamber (or you can make your own DIY propagation box). Be sure to dip the cuttings in rooting hormone before propagating them, which will help to speed things up. Healthy lipstick plants don’t usually have problems with houseplant pests, but aphids, spider mites and mealybugs can become a problem. If you find bugs on your lipstick plant, be sure to treat the plant immediately. To fight these yucky houseplant bugs, I recommend using natural, organic pest control methods rather than toxic chemical pesticides. Organic pest control products work better to get rid of houseplant pests, and they are also safer for us and our pets too! I would recommend using neem oil, which is a natural pesticide that works great for getting rid of plant pests. Organic insecticidal soap also works great for killing these types of houseplant pests, or you can make your own by mixing 1 tsp mild liquid soap per 1 liter of water. Hot pepper wax repellent or horticultural oil also work to help control bugs on lipstick plants. 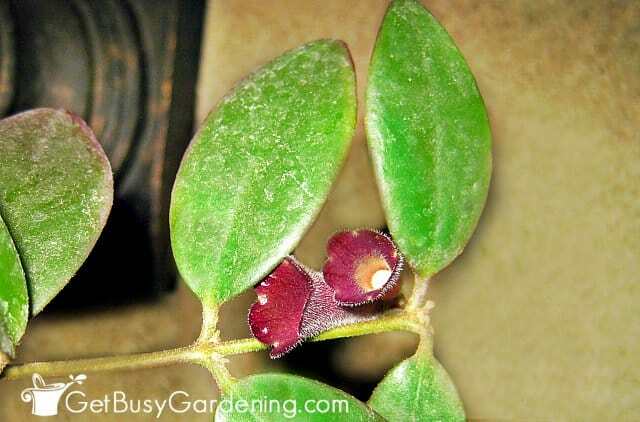 Lots of people ask me “how do I prune a lipstick plant?”. The good news is that you don’t have to worry too much about them. 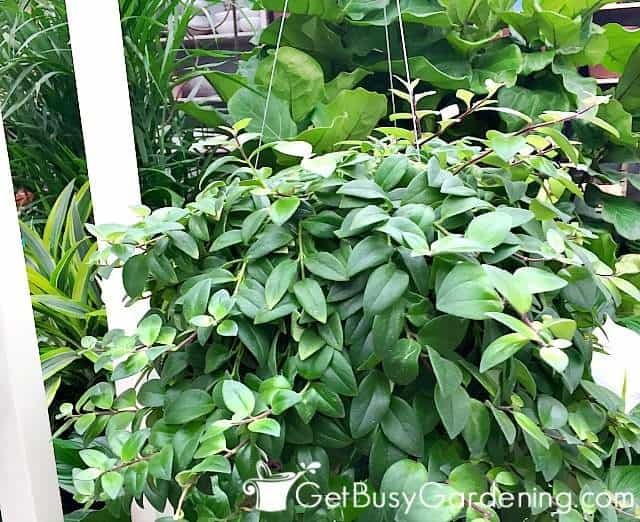 Pruning lipstick plants will encourage the plant to grow fuller, rather than longer vines, but it’s usually not a necessary part of lipstick plant care. If your plant is looking untidy, or not very full, then you can prune off the vines to the desired length. The best time to prune a lipstick plant is right after it’s done blooming, or any time in the early spring through summer. Be sure to use a sharp pair of precision pruners, or use bonsai shears to prune the delicate lipstick vines. Lipstick Plant Dropping Leaves – The most common cause of your lipstick plant leaves falling off is improper watering. Check the soil by sticking your finger one inch down and if it’s dry then water it. If the soil is wet, then allow it to dry out a bit before watering it again. I recommend getting a soil moisture gauge to help you with watering. Refer to the watering section above for more details. Leaves turning yellow on lipstick plant – If the leaves on your lipstick plant are turning yellow, that means it either needs more water, more light or maybe both. Check the soil to see how dry it is before watering it, and if it’s wet then don’t water. If your plant is in a low light location, move it closer to a sunny window or add a grow light to give it more light. See the lighting and watering sections above for more details. Lipstick plant won’t bloom – If your lipstick plant won’t bloom, then it’s not getting enough light or needs to be fertilized. Move the plant to a brighter spot, or add a grow light. If you’ve never fertilized your plant, then try giving it a weak dose of liquid fertilizer to give it a boost. See both the lighting and fertilizing sections above for more information. It can be difficult to find a lipstick vine plant for sale at a local garden center, but fall or winter would be the best time to look. Of course, you can always find a variety of lipstick plants for sale online, and order a few of your favorites! Lipstick plants are fun indoor flowering plants that are also pretty easy to grow houseplants! In order to be successful with lipstick plant care indoors, be sure to give your plant the right amount of light, water and fertilizer. Add a few different varieties to your houseplant collection for constant blooms throughout the year! If you struggle with indoor plant care during the winter months, then my Winter Houseplant Care eBook is for you! 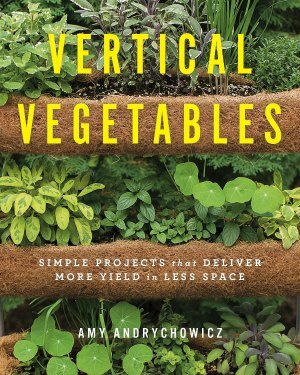 It has detailed information that will show you exactly how to care for your houseplants during the most difficult time of the year. Stop killing your houseplants, and keep them thriving all year round! Download your copy today! Do you grow lipstick plants? 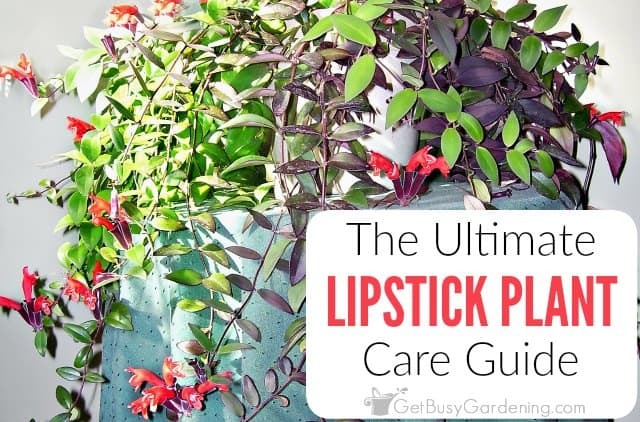 Share you lipstick plant care tips in the comments section below. I get so excited when I see a blooming houseplant that is touted as "easy." I've seen this plant before in books but I don't know where to get one. I don't think our garden centers have it. Very pretty! I like that the blooms are a little fuzzy, too. 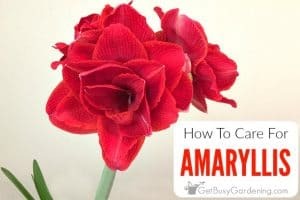 I love easy to care for blooming houseplants too – especially ones that bloom in the fall and winter! I've never seen a lipstick plant for sale in the garden centers near my house either. You can order them online. I was lucky and found mine at a garage sale (of all places!). Its a beautiful houseplant more like a creeper especially in a hanging basket with the leaves and bright red blooms cascading down. Your plant looks perfect in that corner! Hi p3chandan, thanks for your nice comment! I recently obtained some Lipstick Plant cuttings. I freshened the cutting, took off the bottom set of leaves, immersed the cut part in some rooting hormone and planted it in a growing medium. I now notice some “roots” at the next leave junction. Are these “air roots”? Or, am I supposed to now transplant the plant to a bigger pot and plant these visual “roots” below the soil line? Any insight would be appreciated. Congratulations on getting your lipstick plant cuttings to root, that’s super exciting!! I would leave them growing in the growing medium until you start to see new leaf growth on the cuttings. That way, you can be sure they are rooted, and ready to pot up into potting soil. It sounds like a problem with watering. If a lipstick plant dries out too much, the leaves will start to turn brown and fall off. So, check your plant more often to make sure the soil isn’t drying out completely between waterings. My lipstick plant’s leaves have little bumps on the underside. What can this be? Uh oh, sounds like it could be scale insects on your lipstick plant leaves. I hope not, but here’s an article I wrote that will help you identify them and get rid of them, just in case… How To Get Rid Of Scale Insects On Houseplants. I’ve had a curly lipstick plant for about 6 months and the last month or so it’s lost almost all of its stems. The leaves are dropping and the whole thing is drying out. However the soil is still moist. My apartment is extremely humid (+70% all year, +80% in winter) and the plant is near a south-facing window. I haven’t watered it in several weeks, and water from the bottom (into a basin) and as mentioned the soil is moist all the way through. Do you know what’s going on? It’s almost completely dead now. Oh no, sorry to hear your lipstick plant is sick! Lipstick plants can be very fussy if they don’t get the right amount of water (either over or under watering). Sometimes the plant won’t show any signs of distress, and then it starts dropping leaves and stems all at once. If the soil is completely moist, especially after not watering for several weeks, then my guess is that it’s been overwatered. They require less water during the winter than in the summer, so that might be the problem. Watering plants from the bottom can be tricky because it’s hard to tell if the soil is too wet, since the top will be dryer than the bottom. And, when watering from the bottom, you have to be careful not to allow the plant to sit in water for too long. Any water that’s left after about 30 min should be dumped out. So at this point, the best you can do is stick your finger at least one inch into the soil to see how wet it is on the bottom layers. If it’s still wet, then allow it to dry more between waterings, and don’t fertilize or repot it right now. Then all you can do is leave it alone and hope it recovers. This is the second flowering season for my lipstick plant. It produces beautiful lipsticks but there is this white goo that forms around the flowers which is unpleasant to look at. I would like to find out what this is so it can be treated. Uh oh, sounds like your lipstick plant has mealybugs. They don’t look like bugs, they look like white cotton or goo as you describe. Here’s more details about them, and tips for how to get rid of them… How To Get Rid Of Mealybugs On Houseplants.